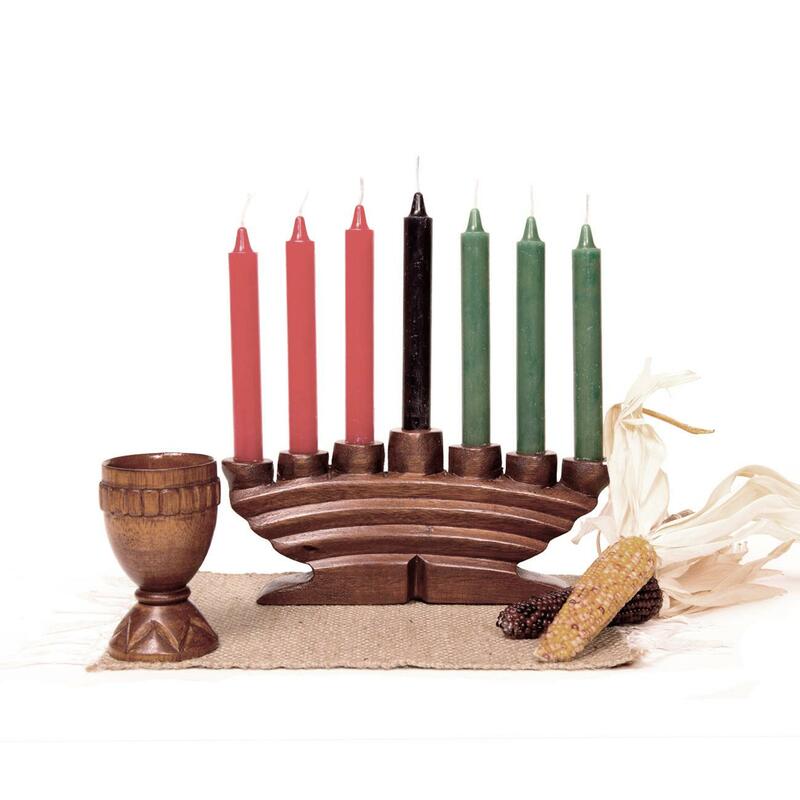 This Kwanzaa Kit, Style C, with Hand-Carved Unity Cup, has everything you need to for your Kwanzaa Celebraton! *Please Note: All of our products are exquisitely handcrafted, one piece at a time, using a natural kiln dryng process . 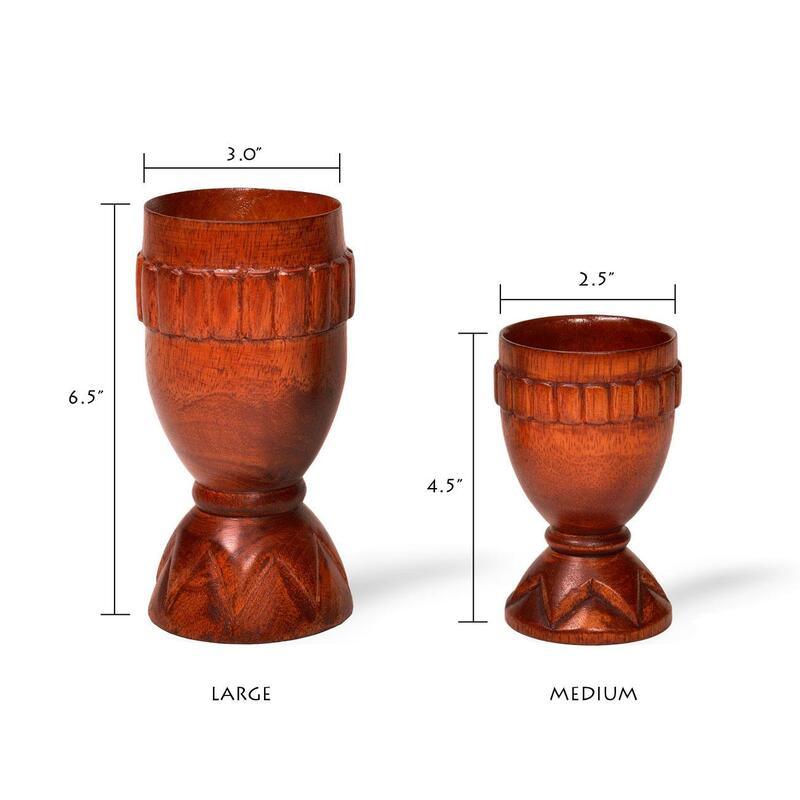 There will invariably be small differences from time to time between the Kinara or any of our wood products photographed for the website and the received items, making each piece unique. 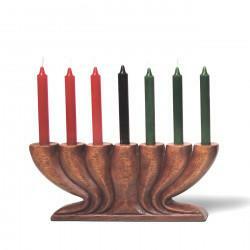 There maybe a need for a small amount of trimming at the base of the candles to fit some of the wholes in your Kinara. Designs for Better Giving cannot be held responsible for these differences. This beautiful Kinara is hand-carved out of the finest wood. 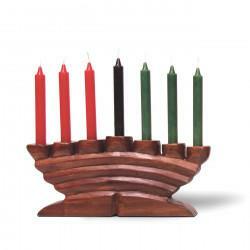 This piece will complete your Kwanzaa c.. 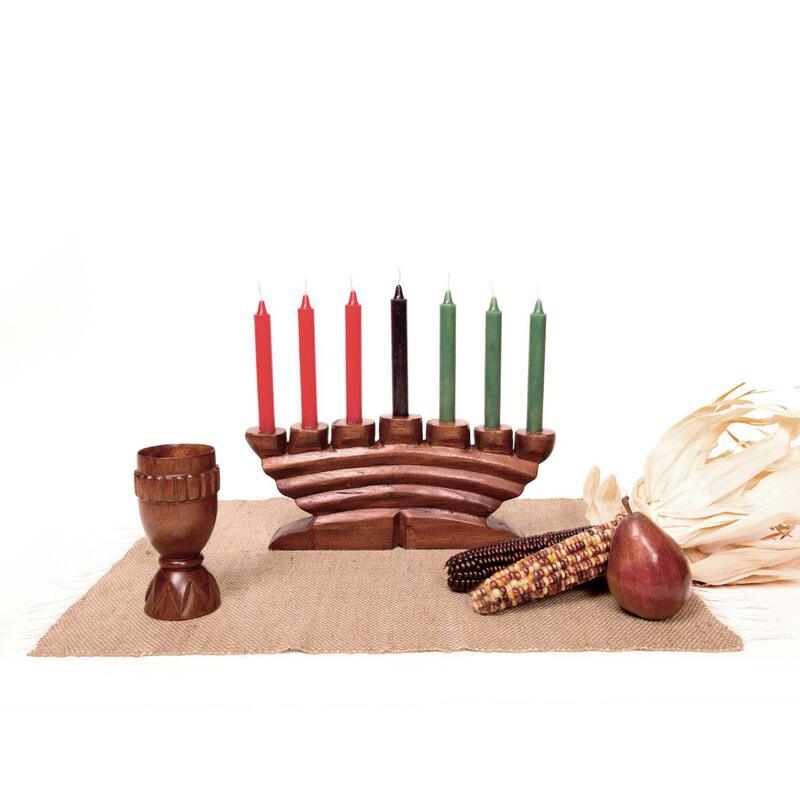 This beautiful Kinara is hand-carved out of the finest wood from Africa. 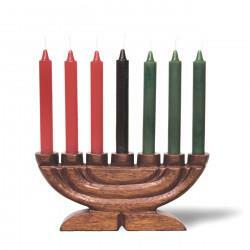 This piece will complete yo..